Folks at XDA-Developers have discovered that Xiaomi is testing three new smartphones, codenamed “pyxis,” “bamboo_sprout,” and “cosmos_sprout.” The “sprout” suffix is usually seen on devices with Android One program, which means that “bamboo_sprout,” and “cosmos_sprout” could be the upcoming Android One smartphones from Xiaomi. The “bamboo_sprout,” and “cosmos_sprout” could most probably be the Mi A3 and the Mi A3 Lite. If that turns out to be true, they’ll be the successors to the Mi A2 and the Mi A2 Lite. Whereas, the “pyxis”, as it misses out the “sprout” suffix, could be the non-Android One variant of either the Mi A3 or the Mi A3 Lite. XDA has also found that these three smartphones are being tested with “fod.” This term is used for denoting fingerprint on display, which indicates that these three upcoming devices could feature an in-display fingerprint scanner. It wouldn’t be a surprise to see an in-display fingerprint scanner on these devices, as we have already seen affordable smartphones from brands like Oppo and Vivo featuring an in-display fingerprint scanner. These in-display fingerprint scanners will most probably be the optical ones as they are more affordable compared to the ultrasonic in-display fingerprint scanners that we see on expensive smartphones. 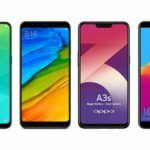 Moreover, XDA says that these three smartphones could feature a 32MP camera at the front, as the brand is testing these devices with 32MP image output for the front-facing camera. The report also suggests that the 32MP camera at the front could use 4-in-1 pixel binning. That’s all the information there is at the moment. We still don’t know which processor will these smartphones use, their display size, rear-camera setup, or even the battery capacity. What we do know is that each new Android One smartphone from Xiaomi features a more powerful chipset compared to its predecessor. 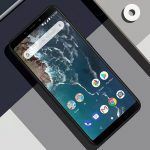 The current generation of Android One smartphones from Xiaomi, the Mi A2 and the Mi A2 Lite, feature the Snapdragon 660 and the Snapdragon 625 processors respectively. Therefore, it is very likely that the Mi A3 might come with either Snapdragon 675 or Snapdragon 710 processor, whereas, the Mi A3 Lite could feature Snapdragon 636 or Snapdragon 660 SoC. 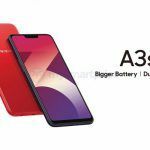 So far, neither the brand has revealed the launch date of these three upcoming smartphones, nor is there any leaked information regarding the same. That being said, I am sure we will get to know more of that information either officially or unofficially as the launch nears.